I was fortunate enough to be invited to the 40th birthday party of a really rather splendid lady whom I’d met last year and shared a 3 hour train journey between Spain and France with. Being for the first time in my life, a little weary of ‘turning a number’ (my own 40th is later this year), during our journey, M simply said come to Bologna to my party and you’ll see you have nothing to fear. Well, how could I not? 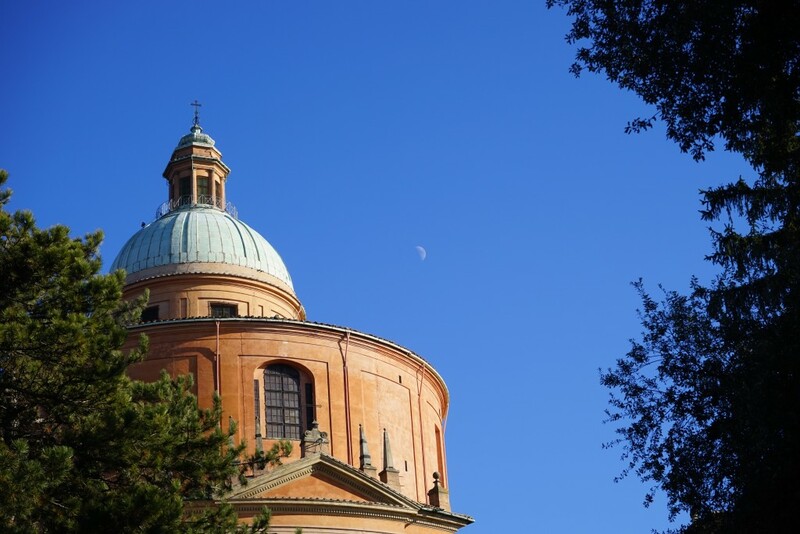 With a shared interested in food and wine, I’ve updated this page as of Jan 2016 with a few more great places in which to indulge in what Bologna does best – feed you, as well as places to stay, to which she introduced me. Hotel Touring – Via Mattuiani 1/2, 40124 Bologna. I came across this hotel, booked un-seen as I needed somewhere to stay near the centre. I also hoped for somewhere good, clean and friendly with decent wifi. I got all of this and more. 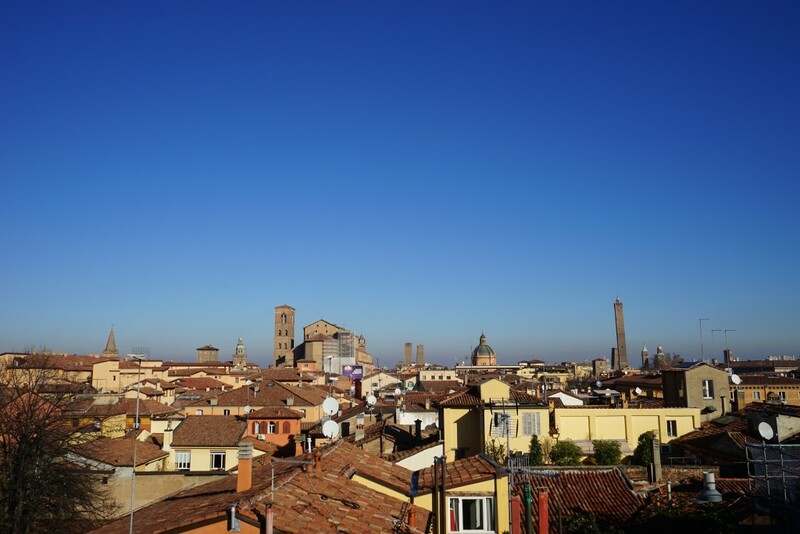 What I had not bargained for was just how friendly the reception staff are, the welcome of the cute little Lucilla (dog) and the stunning rooftop terrace complete with hot tub and wonderful views of Bologna skyline. I was always out rather late, eating too much, so admittedly never tried the breakfast, but I recommend Hotel Touring to anyone needing somewhere to stay in Bologna, that fulfils all of the above. Have a look at their website here; Hotel Touring – Bologna. Grand Hotel Majestic (Gia Baglioni) – Via Indipendenza 8, 40121, Bologna. My friend, who works at this the top hotel in Bologna, gave me a VIP tour – including visiting a couple of suites – stayed in by anyone who’s anyone that has visited the city, past and present. Sanctuary of the Madonna di San Lucca – climb. For years and years as I have driven past Bologna on my way between Venice and Florence, I’ve usually said on the microphone – over there on the left is Bologna – next time you find yourself here, stop. I then mention – as it is clearly visible 300 m above the city, this sanctuary – beautifully perched. Until a recent Saturday morning, I had never actually walked through the 666 arches (weird right?) along the world’s longest – I believe – 300 year old, 3.8 km long porticoed arcade. I have now. And in splendid company. The views are beautiful and it certainly clears the cobwebs, as it is not an easy easy climb. At the top I would recommend going over the brow and finding the friendly – mountain chalet-esque – pizza and bar place Da Vito (San Luca) – great place for a well earned Prosecco. Website here; Da Vito – San Luca Bologna. (If the number of locals eating there is anything to go by, I reckon the pizzas must be pretty good too). 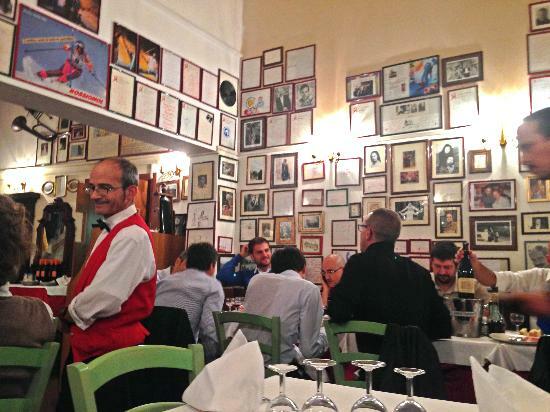 The City that ‘invented’ the Osteria can only be a great place to eat. In fact Bologna, home to Tortellini, Lasagna and Pasta con ragu (Bolognese) offers some amazing eateries. Ristorante da Nello – Via Montegrappa 2, 40121, Bologna. We came here for lunch largely as it is the place nearest to the Majestic (see above) used as a recommendation for guests. And as my friend was working shortly after lunch, this made sense. Of all the places I ate on this the most recent trip to Bologna, this place gave me the single best pasta dish I was to eat (I am a pasta fiend). The tagliatelle were out of this world. The menu does change, so no doubt there will be something new when you visit, but judging by that and the fried artichokes we ordered, I am confident you will be delighted. They have a website for more details; Ristorante da Nello – Bologna. Osteria de’ Poeti – Via de’ Poeti 1/b, 40121 Bologna. This was my favourite place of my 2016 visit. Again introducing me to this, M showed her love for – and knowledge of – great Italian food and where to find it. This Osteria has been around since 1600 and hugs the cellars of a palace dating back a further two centuries. The food was just classically great Italian. Not over fussy, dishes you’d recognise and a few you would perhaps not. I’d recommend asking for the smaller of the two halls – easier to hear and be heard – and if cold, try to get a table near the fireplace. We had a wonderful meal, accompanied by a delicious Lagrein (a wine I very much love). 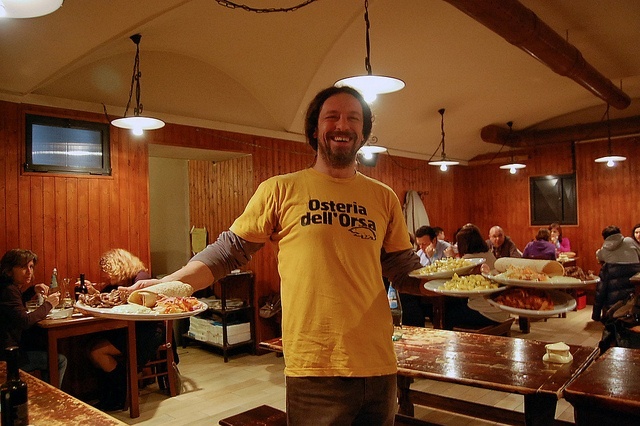 Have a look at their website and book before turning up; Osteria de Poeti – Bologna. Osteria dell’Orsa – Via Mentana 1. Great Osteria recommended to me by students of the city. Loved the food AND the price. Worth asking for specialities that might not be on the menu. Have a look at their website. Ristorantino il Tinello, Via de’ Giudei 1/2 c-d. We found this place by the old tried and tested, best, method; as the locals… Great little restaurant right in the centre (by the two towers) where the food could not be more traditionally Bolognese – we ate so so much, but it was all worth it. I don’t recall it being the cheapest place, certainly a little less so than the Osteria dell’Orsa, but the quality was worth every euro. For more of an idea – have a look at their website. Randomly I went here with an agency not exactly renowned for choices when it comes to places to eat, BUT it was fabulous. I think the owners were not really used to tourists and we were surrounded by locals – ever a bad sign? The food could not have been more traditionally from Bologna and they were super friendly. Be warned, go with an appetite and be prepared to eat everything put on your plate – you don’t want to offend Anna Maria. They have a website here Trattoria Anna Maria.